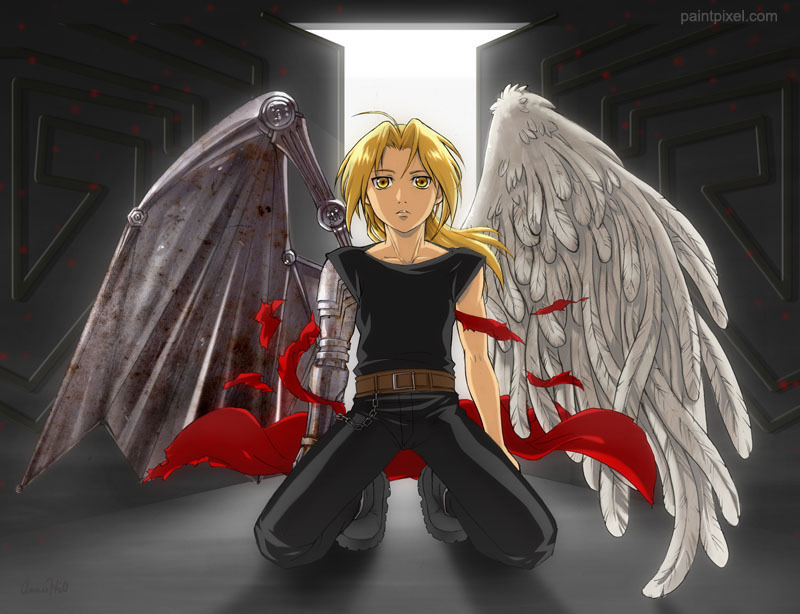 Fullmetal Angel. Such a gorgeous piece.... HD Wallpaper and background images in the Full Metal Alchemist club tagged: fma fullmetal alchemist edward elric angel wings automail metal. This Full Metal Alchemist fan art might contain surcoat, tabberd, and tabard inn. I dont really get it. Wow that is really deep. I love it. You deserve a cookie for this .